Did Henry Reed play a part, however small, in Vita Sackville-West's renouncement of poetry? In 1946, the Incorporated Society of Authors was charged with putting together a poetry recital of classic and modern verse for the Royal Family. A committee was convened, chaired by Denys Kilham Roberts (the Society's secretary-general), which included George Barker, Louis MacNeice, Walter de la Mare, Henry Reed, Edith Sitwell, Dylan Thomas, and Sackville-West. 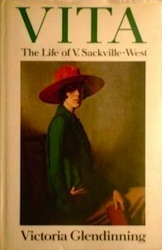 Vita Sackville-West (cousin to Edward "Eddy" Sackville-West) was a prize-winning author and a poet, famous for her bisexual romances, including a long relationship with Virginia Woolf. By 1946 she had published fourteen novels, five scholarly biographies, and ten volumes of poetry (not including a Collected Poems in 1933). On the one occasion I had the honour of meeting de la Mareafter some rather fractious gathering convened to decide which verses in our language might not be too tedious or indecent for the young ears of the Royal FamilyI fervently recorded this fact to him. He was too modest to believe it; but eagerly, in a damp, dark Chelsea street, he told me of the barely credible circumstances of his first meeting with Hardy, in 1921. It may be, perhaps, that the "damp, dark Chelsea street" Reed describes is somewhere in the vicinity of the offices of the Society of Authors, 84 Drayton Gardens, London.